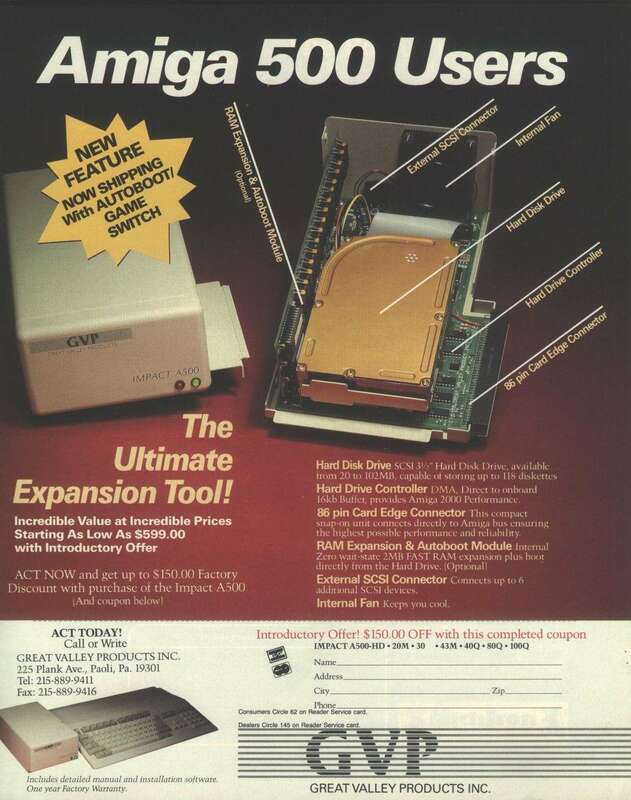 SCSI Controller for the A500 which connects to the side expansion slot. With the Autoboot/Memory card, it provided up to 2MB of additional RAM and Autoboot under Kickstart 1.3 and higher. The memory type for most memory boards was 1Mbit X 1, with 16 chips needed. 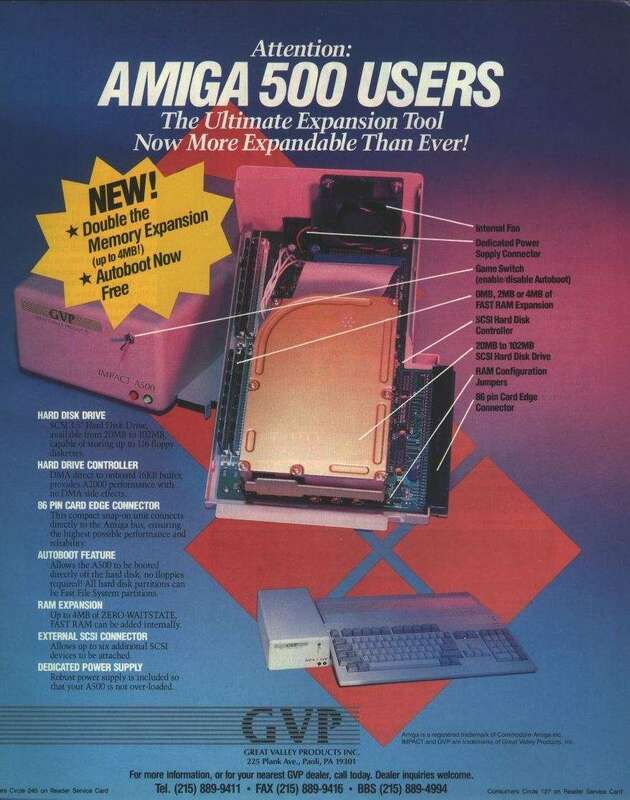 Very early versions of the Autoboot/Memory card supported 256x4 chips, and as such they could also be set to 1MB, with only 8 chips. Benchmark performance of 1.7MB/sec may be seen with faster disk drives on stock 68000 CPU machines, and slightly higher with some accelerator products. It has an external power supply, and a game switch which disables only the Autoboot ROM for compatibility with old games. 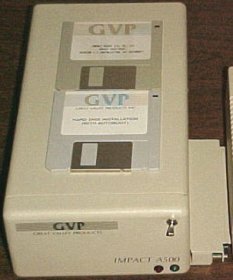 It is identical in design to the GVP Impact A2000 SCSI (a.k.a. Series I) products. It was discontinued at the introduction of the Series II product line.